This is about organised crime groups who are motivated by money. Tunisia was the first country to topple its longtime autocratic leader,Zine el-Abidine Ben Ali, after the self-immolation of a 26-year-old fruit vendor sparked an uprising that would soon spread to other countries in the region and become known as the Arab Spring. Mohamed Bouazizi, who set himself on fire in the city of Sidi Bouzid on December 17, 2010, after police confiscated his fruit cart for not having a permit, became the symbol of Tunisia’s impoverished, bringing thousands of people into the streets to protest against social injustice, poverty, corruption and ultimately, Ben Ali’s rule. After four weeks of protests and authorities responding with brutal crackdowns, the Tunisian leader was deposed on January 14, 2011, and forced to seek exile in Saudi Arabia after 24 years in power. Egyptian strongman Hosni Mubarak was the second leader to be forced from his presidential palace as the Arab Spring began to gain traction. The first protests erupted on January 25, 2011, and would lead to more than two weeks of strikes and demonstrations. Cairo’s Tahrir Square quickly became the focal point for Egyptians protesting the oppression, corruption and injustice suffered under Mubarak’s 30-year, iron-fist rule. Hundreds of people were killed as authorities tried to stop the demonstrations andevict demonstrators from Tahrir Square. The army finally stepped in and urged Mubarak to step down. On February 11, 2011, Vice President Omar Souleiman announced Mubarak’s resignation to the thousands of people gathered on Tahrir Square. Muammar Gaddafi was once the longest-reigning dictator in both the Arab world and Africa after having spent 42 years in power. Protests broke out on February 15, 2011, following the arrest of prominent human rights activist Fethi Tarbel. Fuelled by the winds of the Arab Spring, the demonstrations soon morphed into nationwide protests against Gaddafi’s rule, spreading from Benghazi to Tripoli with demonstrators calling for democracy and a fairer distribution of the oil-rich country’s resources. Authorities responded with deadly crackdowns, and an armed conflict erupted between Gaddafi-loyal forces and opposition groups, which united to form the National Transition Council. The council was quickly recognised by the international community and backed by a military coalition made up of France, Britain, Canada and Italy. On August 23, the council announced it had taken control of Tripoli, and on October 20, Gaddafi was killed in the northern city of Sirte, his regime’s last bastion. Blaise Compaoré came to power after staging a 1987 coup against his former friend and ally Thomas Sankara.He was elected Burkina Faso’s president in 1991 and reelected in 1998. After embarking on his second mandate, parliament approved changes to the country’s constitution, limiting the number of presidential mandates to two, and shortening the mandate period to five years instead of seven. In 2005, the constitutional council ruled that these changes could not be taken into account retroactively, thereby allowing Compaoré to run for reelection in both 2005 and 2010. In 2014, Compaoré’s ruling party proposed additional changes to the constitution to allow him to seek a fifth mandate. On October 29, as the National Assembly prepared to debate the controversial amendment, opponents stormed the parliamentary building in Ouagadougou and violent protests broke out in cities across the country. Although Compaoré tried to appease the protesters by ditching the proposed changes and dissolving the government, he was unable to calm the wrath of the angry crowds. On October 31, Compaoré fled to Ivory Coast with the help of France after a 27-year-long reign. After 22 years as the president of Gambia, Yahya Jammeh finally saw himself defeated at the polls after running for a fifth consecutive mandate. Although Jammeh initially conceded defeat to his opponent, Adama Barrow, he then demanded a recount as calls began to mount for him to be prosecuted for alleged abuses. The Economic Community of West African States (ECOWAS) and the African Union responded by calling for the 2016 vote to be respected. On January 18, when Jammeh’s mandate officially expired, he announced his intention to stay on as Gambia’s leader. The following day Barrow, who had sought refuge in Senegal, was inaugurated as Gambia’s rightful president at a ceremony held at the country’s embassy in Dakar. On January 21 Jammeh was forced into exile after losing the support of the army. José Eduardo Dos Santos remained at the helm of Angola for 38 years before he decided to hand over the reins at the age of 75. Dos Santos was a key figure in the People’s Movement for the Liberation of Angola (MPLA) and was elected the country’s second-ever president in 1979 – four years after Angola declared independence from Portugal and following the death of his predecessor, Agostinho Neto, in Moscow. During his first 20 years in power, dos Santos ruled Angola with an iron fist as the government fought a civil war with a rival liberation group, UNITA, which refused to recognise the legitimacy of dos Santos and his government. Peace was declared in 2002 – 26 years after the civil war began. After winning reelection in both 2008 and 2012, dos Santos came under increased fire for his authoritarian rule. In 2016 he announced he would retire, presenting Defence Minister Joao Lourenço as his chosen successor. In September 2017, Lourenço became Angola’s third president. Robert Mugabe was Africa’s oldest serving leader when he announced on November 4, 2017, that he intended to hand power to his wife Grace Mugabe, 40 years his junior. After announcing the sacking of Vice President Emmerson Mnangagwa – the ZANU-FP party’s choice to replace Mugabe – the army intervened and seized power, placing both Mugabe and his wife under house arrest. On November 21, 2017, parliament launched an impeachment process to remove Mugabe, who responded by resigning after 30 years as president. Joseph Kabila was only 29 years old when he took office in 2001, just 10 days after the assassination of his father, President Laurent-Désiré Kabila. In 2003 he set up a transitional government after negotiating a peace agreement that put an end to the 1998-2003 Second Congo War. In 2006, Kabila was democratically elected president for the first time. In 2011 he was reeleacted for a second, and final, term. In 2016, as Kabila’s mandate was coming to an end, he announced that the upcoming elections would be postponed, citing the long and costly process of registering the country’s 40 million voters. After coming under increasing international pressure to announce a new date for the vote, the elections were finally held in December 2018. Félix Tshisekedi won the election, with Kabila’s chosen candidate, former interior minister Emmanuel Ramazani Shadary, finishing a distant third behind Martin Fayulu. Old and in ill health, Algeria’s 82-year-old leader Abdelaziz Bouteflika refused to leave his seat until massive street protests finally drove him out of the presidential palace in April 2019. Bouteflika’s downfall began on February 10 when the ailing president, who suffered a debilitating a stroke in 2013, announced that he intended to run for a fifth term. The news triggered unprecedented street protests in Algeria, with many viewing Bouteflika as a puppet of the ruling National Liberation Front party (NLF). After weeks of sustained protests and several defections from both the NLF and the army – including powerful army chief General Ahmed Gaid Salah – Bouteflika announced his resignation on April 2. Omar al-Bashir ruled Sudan for 30 years before mass protests – initially triggered by higher bread prices – led to his removal through a coup d’état staged by the army. When South Sudan declared independence in 2011, also claiming the region’s precious oil reserves, Sudan was plunged into a deep economic crisis, with both fuel and food prices rising sharply. At the end of December 2018, a nearly three-fold rise in the price of bread sparked massive street protests. Unable to quell the demonstrations – which quickly turned into a broader, anti-government movement – Bashir ordered Sudan’s first state of emergency in two decades in February. On April 11, the Sudanese military removed Bashir from his post, dissolving both the cabinet and the National Legislature as it announced a two-year transition period under military rule. Since then protesters have kept up the pressure, calling for more sweeping changes, while Bashir has been imprisoned. Cameroon’s Minister of Communication Emmanuel Rene Sadi has expressed “indignation” over what he described as the European Union’s interference in Cameroon’s internal affairs. “Cameroonian internal issues can and should be resolved in Cameroon, by Cameroonians themselves, and the leaders they have freely chosen,” Sadi told a late-night press conference on Monday. “In any case, the Cameroonian people can never be fooled, and stands ready to say no to subjugation,” he said. The minister was reacting to a European Union (EU) Parliament resolution that expressed concerns over “high degree of instability” and alleged crackdown on “peaceful demonstrators” in Cameroon. The EU statement was full of “untruths,” Sadi said. “The Cameroonian Government is radically opposed to this European Parliament Resolution, and expresses its indignation at an act marked by bias, which is akin to a string of untruths, gratuitous affirmations, ungrounded recriminations, and injunctions accompanied by blackmail, directed against the Cameroonian authorities and our Defense and Security Forces,” he minister said. Cameroon is a sovereign state with rule of law and respect of human rights, he said. “As a result, it is up to the Cameroonian people, and the people alone, responsible for providing itself with the institutions of its choice and the laws that govern the life of the nation, just as it is up to the people to choose the person to preside over the destiny of the Cameroonian nation,” Sadi said. The government does not oppose public protests so long as they are not a threat to public order and peace he said, adding that “appropriate measures” are being taken by the government to resolve the conflict in the Anglophone regions. The five Algerian businessmen are Issad Rebrab, considered the richest businessman in the energy-rich north African nation, and four brothers from the Kouninef family said to be close to ex-president Abdelaziz Bouteflika, Ennahar TV said. Prosecutors are investigating “insider influence to obtain undue advantages and misappropriation of real estate”, state television reported. The Kouninef family is hugely influential and the four brothers have dealings in everything from agribusiness to civil engineering. They are said to be close to Said Bouteflika, the younger brother and former advisor of the president who stepped down on April 2 after weeks of mass protests against his 20-year rule. Army chief Ahmed Gaid Salah has since called on prosecutors to “accelerate the pace” of probes into corrupt tycoons with ties to Bouteflika’s inner circle. One of Algeria’s top businessmen and a Bouteflika backer, Ali Haddad, was arrested in late March as he tried to cross the border into Tunisia with two passports and undeclared currency. Algerian media has reported that around a dozen businessmen are under investigation, all with ties to Bouteflika’s entourage. Over 100 Boko Haram jihadis reduced an entire village to ashes in Cameroon near the country’s border with Nigeria, fatally setting at least 11 residents on fire while they slept, including children and elderly persons, and taking 100 people hostage after the attack late last week. The bodies were “charred,” the source added, noting that the jihadis had set fire to the entire village. Residents saw their maize, beans, groundnuts, and sheep engulfed in flames as the jihadis stole hundreds of their cattle. Tchakamari village, on Cameroon’s northern border with Nigeria, is deserted, with torched houses and animal carcasses bearing witness to the attack. Resident Abba Malloum says the village of more than 400 people was reduced to ashes by Boko Haram fighters who came from neighboring Nigeria late Thursday night. AFP learned from its local security sources that the attack began around 10 p.m on Thursday and carried on to 1 a.m. Friday, marking the deadliest Boko Haram raid into Cameroon in recent months. The heinous assault prompted the U.S.-backed Multi-National Joint Task Force (MNJTF) of the Lake Chad Basin Commission to deploy troops to the village. MNJTF includes forces from countries plagued by the Nigeria-based Boko Haram terrorist group including Nigeria itself as well as Cameroon, Chad, and Niger. Midjiyawa Bakary, governor of Cameroon’s Far North Region, has called for vigilance. He says after a crisis meeting of the Multinational Joint Task Force, troops have been deployed to secure the area and bring back the abducted people. The task force has been instructed to organize regular patrols and systematic searches of people, vehicles and homes and suspected villages and towns. Boko Haram’s deadly insurgency, which began in Nigeria in 2009, has spilled over into neighboring Niger, Chad, and Cameroon, triggering a U.S.-assisted military response by the affected countries. The jihadi group split into two factions in mid-2016, including the Islamic State (ISIS/ISIL) West Africa Province. Although long-time Boko Haram leader Abubakar Shekau pledged allegiance to ISIS, the international terrorist group only recognizes and supports the West Africa branch. Both branches are terrorizing the West Africa region. According to the Council on Foreign Relations (CFR), the Boko Haram conflict has left more than 36,000 people dead, including jihadis from the group (18,950), government forces (1,958), and civilians ( 15,953) combined. Even as victims continue to lament the killings and kidnappings linked to Boko Haram, the newly re-elected administration of President Muhammadu Buhari recently took credit for rendering Nigeria “totally free” of the jihadi group. The Buhari administration has falsely claimed victory over Boko Haram on several occasions, prompting a member of the opposition to question the president’s mental state. Nigeria’s Legit news outlet noted that the administration made those comments last week as Lt. Gen. Tukur Buratai, the chief of staff for the army, acknowledged that Nigerian troops had confined Boko Haram to the Lake Chad region and the Sambisa forest in northeastern Nigeria where they continue to terrorize residents. U.S. and local officials have long considered the Sambisa forest, which covers parts of the northeastern Nigerian states of Borno, Yobe, Gombe, Bauchi, and Kano, to be Boko Haram’s last major stronghold in the country. Borno State is the birthplace of Boko Haram. In a resolution on Thursday the EU Parliament said the security and political situation in the Northwest and Southwest regions of Cameroon were deteriorating and called on President Paul Biya’s government to immediately take all steps to bring an end to the violence and impunity in the country. In its resolution No 2019/2691(RSP) of April 18 the European Parliament deplored the growing violence and discrimination facing the Anglophone community in the country; expressing particular concern over allegations that government forces are responsible for killings, excessive use of force, and torture of civilians. “Regrettably, unlawful killings and atrocities continue to be reported regularly (in the regions) allegedly involving both the security and defence forces and separatist groups,” Federica Mogherini, High Representative of the European Union for Foreign Affairs and Security Policy told the EU parliament. In the resolution, the legislative body asked the government to lift the ban on the activities of the Cameroon Anglophone Civil Society Consortium and to ensure an open space in which civil society can operate. In her statement to Parliament Ms Mogherini said there was repression of demonstrations and narrowing of political space in Anglophone regions. She said 47 key opposition figures are under arrest awaiting military trials while more than a hundred protesters are in detention. Lawyers said Cameroon laws were not being respected. “We have asked for the release of detainees against whom hard evidence cannot be produced and we asked for an immediate halt to violence, to human rights violations and hate speech. Regarding the situation in the English speaking regions of the Northwest and Southwest, we have consistently called for dialogue as the only way to achieve a sustainable solution, in a non-violent and inclusive manner, respecting fundamental rights and the rule of law,” Ms Mogherini said. About 500,000 people are now displaced, including 32,000 refugees from Cameroon registered in Nigeria. Cameroon is also grappling with continued attacks by Boko Haram in the far North as well as in Chad, Niger and Nigeria. “We know that Boko Haram is not invincible, and has suffered major setbacks. Yet we are seeing civilian deaths and losses by the security forces in Cameroon,” she told Parliament. There have been various accounts, supported by unverified gory images, describing what is going on in Cameroon as genocide but the government says the accounts are exaggerated by civil society looking for sponsors. “We need to continue our humanitarian support as part of the international humanitarian response on the various fronts. If we consider both the Internally Displaced People and the refugees coming from Nigeria and the Central African Republic, there is about one million people in need of help,” she said. Violence erupted in the Cameroon’s two English speaking regions when an industrial strike by aggrieved lawyers and teachers in 2016 over perceived marginalization turned into a clamour by armed separatists for outright independence of the region. Ambazonia, as the separatists identify the region, was administered as part of Nigeria as a UN trust territory under British control prior to reunification. In November last year, the International Crisis Group (ICG) reported that the fighting had already killed between 450 to 500 civilians, 185 members of the security forces and hundreds of armed separatists. No official casualty figures have been reported since then but the toll has certainly risen as there has been several attacks since then. ICG estimated that around 10 armed separatist groups had gained control of “large rural areas and a number of main roads” in the two English speaking regions. Besides killings, the groups have been blamed for the repeated kidnappings of school children, staff and other officials in the regions. Trips to various localities of the regions even for burials are near impossible as the armed groups have mounted road blocks and kidnap travellers for ransoms. Human Rights Watch (HRW) in a recent report said government forces killed at least 170 civilians in the last six months while civilians in the Anglophone regions were also attacked by armed separatists during the same period, with at least two men being executed. The report said soldiers, special army units and gendarmes used indiscriminate force and torched hundreds of homes and public buildings in the Northwest and Southwest regions between October and March. The government however dismissed the report saying it lacks seriousness and objectivity. Communication Minister, Rene Emmanuel Sadi said troops deployed to the regions work perfectly within their sovereign role of ensuring the protection of the nation and the populations, in keeping with republican values, against outlaws who mercilessly kill and sow terror and despair. Contrary to the half a million Internally Displaced Persons by the crisis figure by civil society organisations, he said, official data indicated that only 152,000 persons have been displaced by the crisis. In June last year, the government unveiled a FCFA 12.7 billion ($21.8 million) relief plan for the reintegration of the affected populations; reconstruction of destroyed infrastructure, housing, food, healthcare and education. 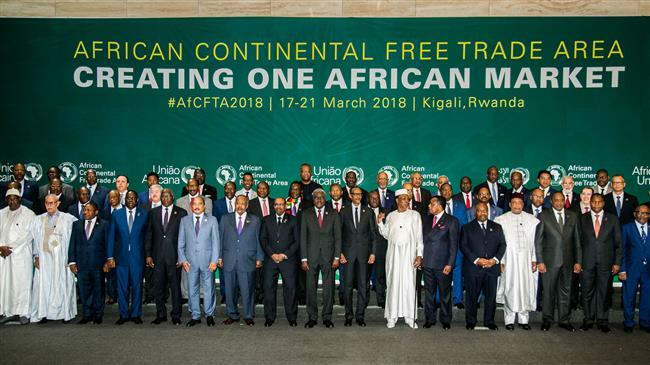 CFCA stands for the Central Africa Franc, the single currency for the six states forming the Economic and Monetary Community of Central Africa States. Relations between the minority Anglophone Cameroonians and the country’s dominant Francophone elite have long been fraught. Cameroon’s Anglophones often complain of being treated as second-class citizens since the reunification. These grievances led to peaceful protests in 2017 which government forces violently repulsed after separatists load on the protests to declare independence for the state of Ambazonia. President Biya, 86, who has ruled Cameroon for 36 years, has relied on military force to keep the country united. On his re-election in November last year, President Biya vowed to pursue policies of decentralisation to address “frustrations and aspirations” in English-speaking regions hit by separatist unrest. He asked the rebels to drop their arms or face the determination of the military. It was the first time in 13 months of pro-independence violence that Biya had clearly acknowledged the struggles of those living in anglophone areas. The United States, however, has suspended military aid to Cameroon over the suppression of human rights. In November last year, President Biya’s government refused to authorise the Anglophone General Conference which was to kick-start dialogue on improving security in the regions. Organisers are still hopeful the conference will be allowed this year. Suspected jihadists killed at least 11 soldiers in an attack Sunday in central Mali, the defence ministry said. The military outpost at Guire was attacked at around five in the morning, the ministry said, adding that there were also a number of injuries and damage. Earlier reports had put the number of soldiers killed at 10 or 12. “The terrorists came out of the forest. They were on motorcycles and pick-up trucks. They burnt vehicles and took away others,” a security source, who asked not to be named, told AFP. A local resident contacted by AFP said there had been heavy gunfire and the military “were taken by surprise” in the attack. On Saturday a UN peacekeeper was killed and four others wounded when a mine exploded as their convoy passed through a central region.. The UN mission was established in Mali after radical Islamist militias seized the north of the country in 2012 before being pushed back by French troops in 2013. The latest attacks came as President Ibrahim Boubacar Keita pursued consultations to pick a new prime minister. The last one, Soumeylou Boubeye Maiga, resigned with his entire cabinet two days ago, under fire from the ruling and opposition parties for failing to clamp down on the unrest. Meanwhile, an influential Malian preacher and follower of the moderate Maliki school of Islam was on Sunday elected as head of the Islamic High Council of Mali (IHC). Cherif Ousmane Madani Haidara succeeds imam Mahmoud Dicko. Dicko is one of Mali’s most prominent public figures who played a key role in the negotiations between the government and Islamist extremists ahead of the peace accord. He was also a proponent of Wahhabism which he studied extensively in Saudi Arabia, the cradle of this strict Sunni doctrine. Sri Lankan police have arrested two dozen people in connection with a string of bomb attacks on several churches and hotels that have claimed the lives of at least 290 people. There has been no immediate claim of responsibility, but police say they have already made 24 arrests in connection with the bloodshed. “Serious action need to be taken as to why this warning was ignored,” Sri Lanka’s Minister of Telecommunications, Harin Fernando, tweeted along with a photo of the memo. The document, titled “Information of an alleged plan attack,” is dated April 11 and signed by Deputy Inspector General of Police, Priyalal Dissanayake. President Maithripala Sirisena, who was on a private visit to India and Singapore, called an emergency meeting of the National Security Council early on Monday, according to a government source. He expressed his shock at the explosions, saying he had issued directives to the law enforcers – including police and the Special Task Force – to carry out investigation into the incident and take action against those involved. The prime minister would also attend the meeting, the source added. Authorities earlier convened an emergency meeting involving the heads of the army, air force and navy, according to Economic Reforms Minister Harsha de Silva. Witnesses said soldiers armed with automatic weapons stood guard outside major hotels and the World Trade Centre in the business district. Heavy security measures are also reported outside the St. Sebastian’s church in the city of Negombo — one of the churches that came under attack. Meanwhile, a police spokesman said the Sri Lankan military had found a homemade bomb near the departure gate of Colombo’s main airport late on Sunday as it was clearing a route in preparation for Sirisena’s return home. They disposed of the device in a controlled explosion, according to the spokesman. A curfew that was enforced on the country from Sunday evening was relaxed early Monday morning, allowing many people to make their way home from the main airport, where they were stranded overnight due to the restrictions. The government, however, ordered a night-time curfew that would run from 8:00 p.m. local time until 4:00 a.m. on Tuesday in the capital. The curfew was announced as security forces said they are carrying out searches across the country for those behind the bomb attacks. It was also announced that the president will declare a nationwide emergency from midnight on Monday. “The government has decided to gazette the clauses related to prevention of terrorism to emergency regulation and gazette it by midnight,” the president’s media unit said in a statement. According to the president’s office, Sirisena will ask for foreign assistance to help track what it called international links to the bombings. The government has also blocked access to social media and messaging sites out of concerns that “false news reports … spreading through social media” could lead to violence. The services will be suspended until investigations into the attacks are concluded, the government said. This has, however, concerned many, who believe it is very important for people to be able to communicate at times of crisis. “This really puts people who already have vulnerable access to communication in a much worse position. It is a dangerous precedent to set,” said Joan Donovan, director of the technology and social change research project at Harvard Kennedy’s Shorenstein Center. He said that authorities were warned two weeks before the attacks, and had the names of suspects. Meanwhile, security experts have warned that the attacks bear the hallmarks of the Takfiri Daesh and al-Qaeda terror groups. In the meantime, top Muslim leaders in the county demanded “maximum punishment” for the perpetrators of the attacks. “We urge the government to provide security to all religious sites and to give maximum punishment to everyone involved in these dastardly acts,” said the All Ceylon Jamiyyathuul Ulama, or council of Muslim theologians. The South Asian nation has a population of about 22 million people; 70 percent of whom are Buddhist, 13 percent Hindu, 10 percent Muslim and seven percent Christian, according to the country’s 2012 census. Sri Lanka is reeling from a 26-year civil war that ended in 2009 with an estimated 100,000 deaths. The strife was mainly between the so-called Tamil Tigers and the Sri Lankan government, and ended when government forces defeated the rebels. Authorities are now concerned that the new spate of violence could upset the fragile peace in the country. Police have already reported a petrol bomb attack on a mosque in Sri Lanka’s northwest and arson attacks on two shops owned by Muslims in the west. Moreover, the country has recently witnessed a surge in ultra-nationalist Buddhism led by its most powerful Buddhist organization, the Bodu Bala Sena. Sudanese authorities have arrested several top members of ousted President Omar al-Bashir’s ruling party in a bid to mollify protesters who are pushing for a civilian rule. The arrests came as authorities said they had searched Bashir’s home and found suitcases loaded with more than $351,000 and six million euros, as well as five million Sudanese pounds. Sudan’s attorney general also ordered the formation of a committee to oversee investigations into crimes involving public funds, corruption and criminal cases related to recent events. The crackdown, observers say, is intended to placate protesters who want the military council which took over after toppling Bashir to hand power to civilians. The new moves were taken on the eve of protest leaders’ planned announcement of a ruling civilian council they say will replace the country’s current ruling military body. On Saturday, military rulers and protest leaders held a round of negotiations as thousands of demonstrators massed outside the army headquarters, calling for a civilian rule. “We clarified our main demand, which is the transfer of power to civilian authorities,” Siddiq Yousef, a senior member of the umbrella group leading the protest movement, told state television. “We agreed to continue negotiations to reach a solution that satisfies both the sides, so that the transfer of power will happen in a peaceful way,” he said. He did not say whether protest leaders will go ahead with their planned unveiling of a ruling civilian council on Sunday. Since Bashir’s ouster on April 11, Sudan has been ruled by a 10-member military council which has so far resisted calls to transfer power to a civilian body. The foot-dragging has prompted thousands of protesters to remain camped outside the army headquarters in central Khartoum, calling on the military rulers to step down. Protest leader Ahmed al-Rabia said he expected mounting pressure from the street and from the international community to make the military council cede power in “two to three weeks”. “We are done with the easy part (toppling Bashir). We want to remove the entire regime,” said Rabia. In order to appease the protesters, the military council has agreed to demands such as detaining Bashir and releasing many political detainees and protesters. On Saturday, authorities arrested Ahmed Haroun, the acting head of Bashir’s party, former first vice president Ali Osman Taha, former Bashir aide Awad al-Jaz, the secretary general of the Islamic movement Al-Zubair Ahmed Hassan and former parliament speaker Ahmed Ibrahim al-Taher. Parliament speaker Ibrahim Ahmed Omar and presidential aide Nafie Ali Nafie were also put under house arrest. The military council further said it will retire all eight of the officers ranked lieutenant general in the National Intelligence and Security Service. A judicial source also said Sudan’s public prosecutor had begun investigating Bashir on charges of money laundering and possession of large sums of foreign currency without legal grounds. However, the measures are unlikely to pacify the protesters and the push for power transition is expected to continue. Trump, in response, took to Twitter Saturday, mocking Romney for his loss to former President Barack Obama in the 2012 election. His tweet also featured a video compilation of clips from Romney’s 2012 election night defeat. Romney, the current Utah senator and former Massachusetts governor, lost the election by over 100 electoral votes, while losing the popular vote to the incumbent Obama by about 4 percentage points. Congressional Democrats have taken a legal step to see all of Mueller’s evidence from his inquiry into alleged Russian interference in the 2016 election, with some members pushing for the impeachment of Trump just 18 months before the 2020 presidential election. The redacted edition of the much-anticipated 400-page investigation, covering Russia’s meddling in the 2016 presidential election, as well as Donald Trump and his team’s wrongdoings and possible presidential obstruction of justice, was released in the report on Thursday. US Attorney General William Barr said Mueller did not discover any evidence that Trump’s election campaign colluded with Russia during the 2016 presidential election. He also said the Mueller’s two-year investigation did not uncover any evidence that Trump obstructed the special counsel probe.